The price algorithm has been rewritten from scratch to get more accurate dynamic prices, especially its market study component. Luxury and rare resources should now be priced much higher as a result, as they should have been. The price UI has been redone to facilitate understanding the different factors influencing pricing of resources. Each element now also provides tooltips with more details and explanation of what it represents. – armies whose home regions do not have enough population to maintain troops will now decay and gradually lose units. – some advanced state power policies now require fair exchange. – added a new “army marshal” status in Nations. Marshals can control all the National armies regardless of their position in the nation’s hierarchy. 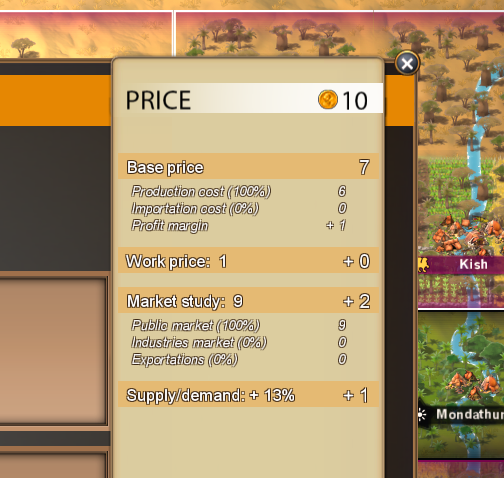 This update brings drastic changes to the economy, by adding the concept of ‘unprofitable’ buildings: if a building in functioning at a loss ( making no positive income for its workers ), it becomes flagged as unprofitable and its efficiency will gradually decrease while being avoided by new workers. Trade balance is now effective on your treasury balance, and trade incomes are subject to waste! Also noteworthy: workers priority has finally been implemented, as requested for a while by testers. And it can be set on a per building basis which allows you to make sure your critical buildings ( like wells and food production/distribution) remain functional even if your population decreases! – efficiency of unprofitable production buildings now decreases with time. – unprofitable buildings are flagged with a special icon, similar to sleeping or abandonned buildings. – In the deployment tool, its now possible to toggle deployment per formation. – In the deployment tool, you can now see deployment of other troops controlled by other players of your same nation. – You can now deploy troops in foreign regions. – Trade balance from all territories now applied to the player’s treasury balance. – Import costs now taken into account by the rentability price factor (the price modificator ensuring minimum rentability for sellers of a resource). Before was only the local production costs. – Fixed issues with battle objectives. 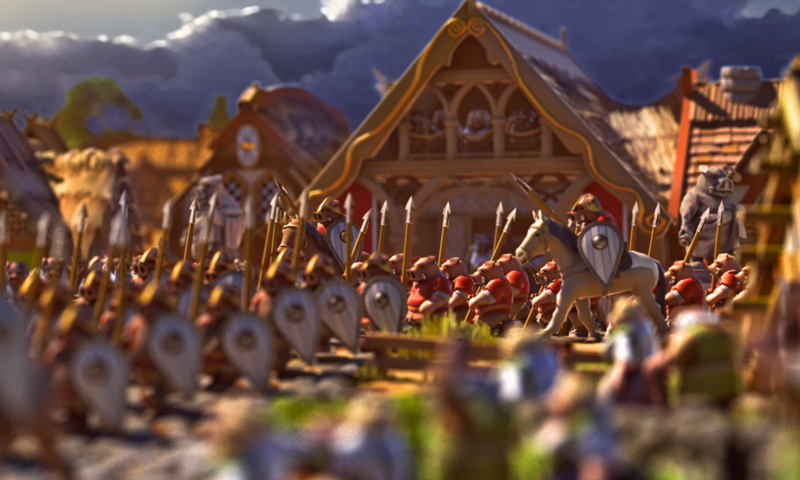 – Added new battle action to eliminate all enemy forces in city without invading it, pillaging it, or sacking it. – Increased max number of defensive zones to 6.